The Canadian Award for Telecommunications Research (CATR) is awarded biennially, recognizing distinguished contributions made by an individual in Canada to research in the field of telecommunications. The scope of the award includes information theory, communication theory, networking, and signal processing with application to communications. A written statement summarizing the candidate’s accomplishments, putting them in the wider context of contemporary research. Self-nominations are acceptable. All nomination materials, including the names of the candidates, will be treated confidentially. 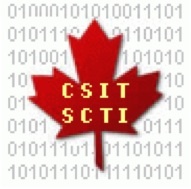 The award will be announced towards the end of spring 2019, and presented at the 16th Canadian Workshop on Information Theory in June 2019.